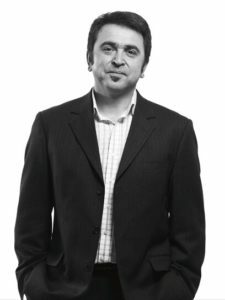 John Gertsakis, Chief Sustainability Officer of Global Product Stewardship Council Corporate Member Infoactiv, has been named as a ‘Resources and Waste Leader’ in the 2013 WME Leaders List. This acknowledgement resulted from over 100 nominations and more than 1500 public votes. The GlobalPSC is pleased to have supported John’s nomination and see this recognition as further proof of the emergence of product stewardship. The WME Leaders List is an annual event focused on recognising individuals and their leadership qualities. It is judged by industry experts and the WME readership, and highlights outstanding individual achievements that advance sustainability. There is movement across the Asia Pacific region for increased e-waste recycling of unwanted electrical and electronic products, including televisions, computers, printers, appliances and batteries. In Australia, the scale of the problem is significant with an estimated 106,000 tonnes of televisions and computers (16.8 million units) reaching end-of-life in recent years, and the numbers are growing. The National Television and Computer Recycling Scheme is leading the way with various industry organisations rolling out collection and recycling services across urban and regional areas. John was involved from the outset in 2000 with early calls to establish a national approach to industry-funded e-waste recycling. Underpinned by relentless advocacy, his collaborative approach with government, industry and NGOs played a critical role in realising the Commonwealth Product Stewardship Act 2011. As part of a specialist team at Infoactiv, John’s work on e-waste recycling is now expanding into new sectors, and is aimed at helping organisations minimise business risk and environmental harm from a hybrid of products and related waste such as laptops, appliances, batteries, commercial furniture and polystyrene. John’s commitment to ensuring long term solutions to e-waste recycling began in 1996 with Australia’s first comprehensive report on e-waste titled ‘Short Circuiting Waste from Electrical and Electronic Products’, published by RMIT University. He also advised the consumer electronics industry on the development of TV recycling in Australia. John’s work on environmental stewardship has been further highlighted through his appointment to the Australian Government’s Product Stewardship Advisory Group, where his experience is directly relevant to recommending new products and wastes that could be addressed under the Product Stewardship Act.